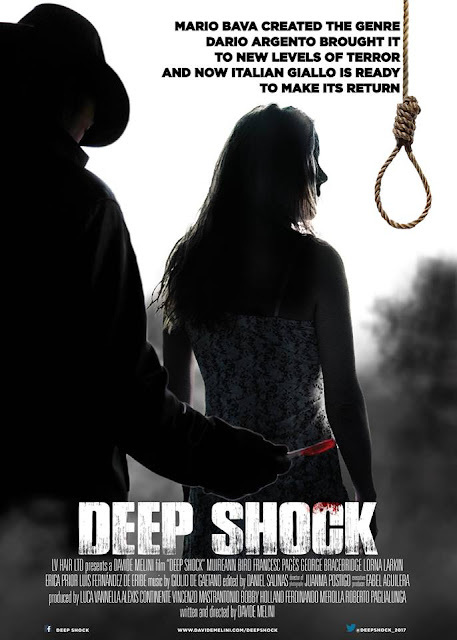 I first mentioned Davide Melini's upcoming short giallo inspired film Deep Shock back in 2013 where it was still in pre-production. Some years later and this is now in post-production with a release due for summer time. As the title itself is a homage to two well known examples of Italian giallo; Deep Red (by Dario Argento) and Shock (by Mario Bava) it is very clear what type of short this will aspire to be. The synopsis is; Sarah is unable to come to terms with the deaths of her grandfather and older sister. This grief coupled with lack of sleep leads her to embark on a strange journey of apparitions and murders, seemingly conjured from her mind.